control of executive and committee over the past 100 years. however, were not to be rewarded for long as he died about October 1892. Clapperton, Drew, Hanna, Mowlem, Rutherford, W.L. Scott and Walkley. for a sufficient sum to repay Mr Walkley for the green. 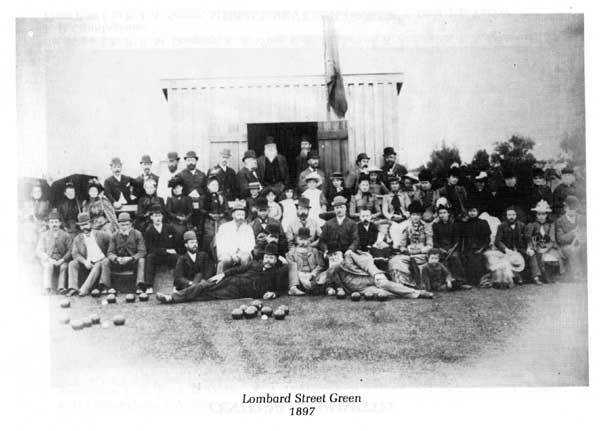 Green Co. Ltd was formed and the first Chairman of Directors was Mr G. J.
rented the green to the Bowling Club. and to rent a strip of land on the North Side of the club in Lombard Street in order to allow for more playing area. 1899 but lapsed for want of a quorum, as did one on 28 December 1899.
and they in turn placed a price of 50 pounds (100 dollars) on the property. missing so further club detail on this is not available. 17 November 1909 and they subsequently adopted the Club rules. The transaction was completed in August 1924. $780 with further extensions being approved in July 1928. $2550 pending the need to relocate from Taonui Street. by bank mortgage and free of interest debentures from club members. the pavilion to be set back from the original boundary line. Tennant. The club had at this time a playing membership of 208.
until a decision to sell ala price of $20,000 to K. H. Symes & Co.
mortgage and debenture holders were repaid. extend the front wall over the porch being approved on 6 August 1972.
relocation of the bar and secretary’s office was made this past winter. Land was leased from the Y.W.C.A. in 1970 and a third green laid. meeting on 6 December 1975, resulting in our total facility being freehold. The price paid for the land was $8,000.00. $15,000.00. Ground preparation and the sealing cost $10,950.00. Wellington, but lost on a play off. and Nelson comprising in excess of 2000 players. approved – ‘the wheels of change turn slowly’. the end of the men’s history. Secretary, Treasurer and Green Superintendent, a most worthy successor. 1892, were Grey and White striped coat and White hat with Grey band. These colours were re-affirmed at the Annual General Meeting 1900. Gold coming into effect on 12 October 1946. One was attached a “library” and for the repeated reference in the early minutes the need to ensure its sound operation. It turned out the members were not a lot of book-worms as further reading brought to light this was the minute reference to the bar cupboard. So much for noble thoughts. handed it over to the centre. claimed their woods were being damaged. shows how highly the office is held. The subscription in 1895 was 2 pounds. We became a member as far back as 1925.
on Sunday, 2nd November, 1975 at 1 p.m.
build a ramp and cater for paraplegics. carried out by members of the men’s Club. Linton Street on Sunday the 8th May, I976. President of the N.Z. Women’s Bowling Association. Coral Wing and Brenda Papesch with Nan Gibb were successfully selected as umpires at the Women’s World Bowls which were held in Auckland in November 1988.
the World Bowls, an honour richly deserved. The lady members have been very happy to be part of the Palmerston North Bowling Club, and if future members carry on in the tradition set by past members we are sure the P.N. Bowling Club will go from success to success. *This history was taken from our centeneray booklet in 1989, if any members wish to add from 1989 to present day, please leave a comment below. 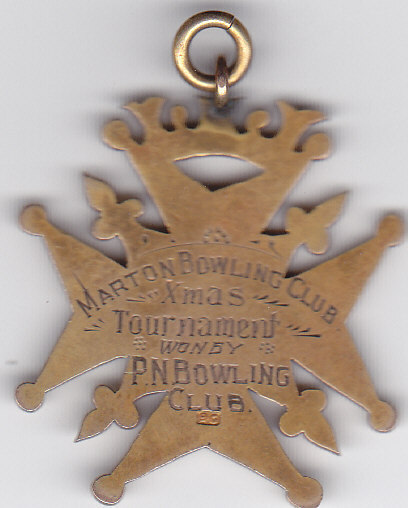 I was surfing through your Club’s website, as a result of a medallion that I have inherited which bears the name of PN Bowling Club. I’ve attached a pic of the front and back of the medallion. 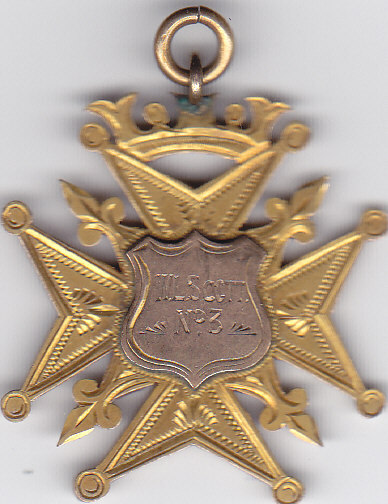 There is no date on the medallion, but the “W.L.Scott” engraved on the front was my Grandfather’s brother. Apparently they both emigrated from Stonehaven in Scotland around the same time – my Grandfather to Perth in Western Australia, and his brother to NZ. 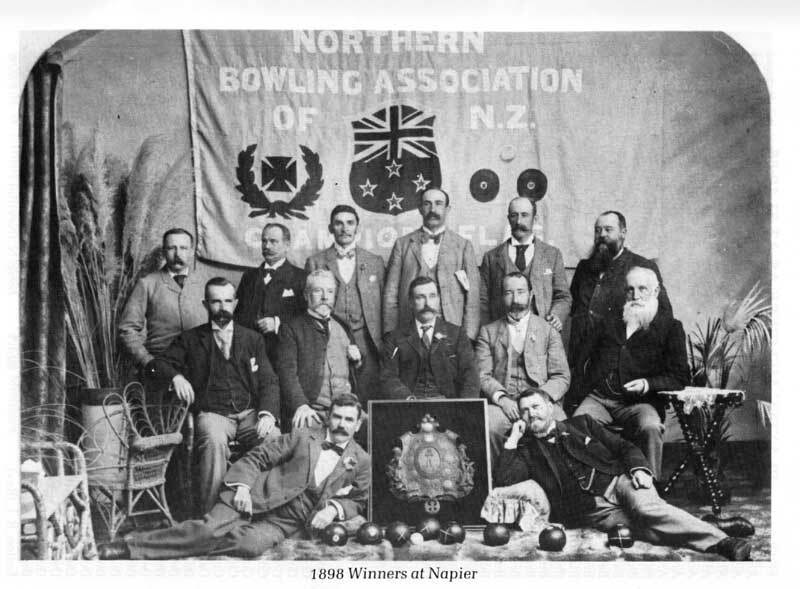 It was interesting reading through the History section of the club that one of the founding members of the Palmerston North Bowling Club was a ‘Scott’ – whom I would punt was W.L.Scott – an ancestor of mine. 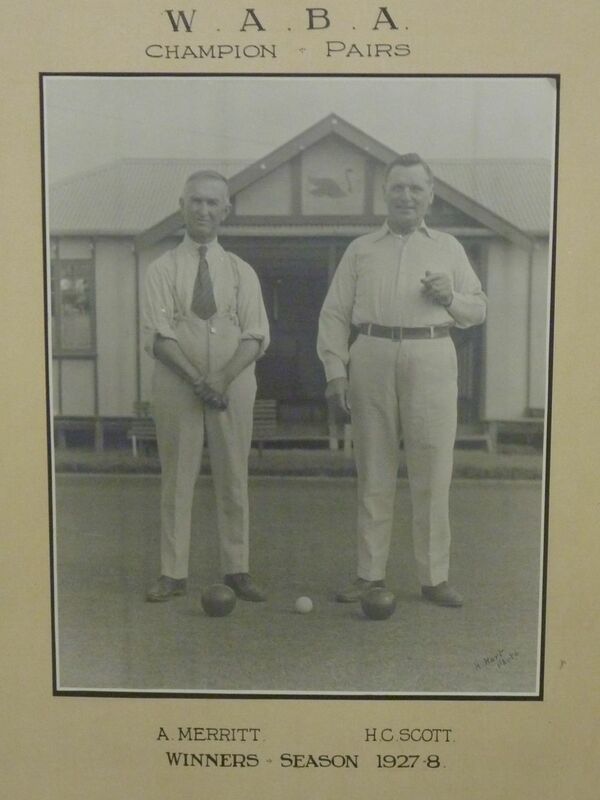 My grandfather – H.C.Scott – was a member of the Swan Bowling and Recreation Club Inc. in Perth. 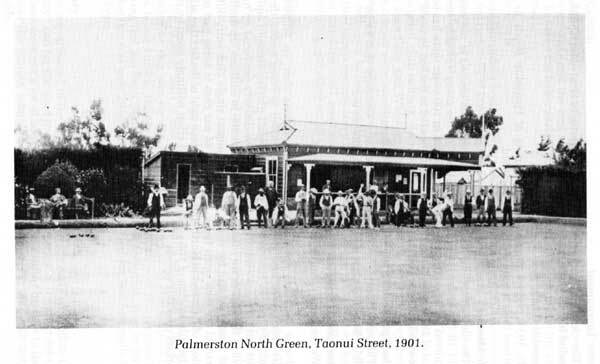 the Club is the third oldest in Western Australia, and is the oldest Club on its original site. Co-incidentally, Swan is one of the very few Clubs in WA which owns freehold title to its property. So it seems that Palmerston North and Swan have much in common. Appreciate any history you may be able to provide me with in relation to the medallion – when, what was the event, etc. If you have any information or advice for Dave, or would like his email address, please leave a comment below.